SITE BUILD IT SEEN ON OPRAH! Site Build it or SBI has changed my life. After being ripped off a few times with these “GET RICH QUICK” website schemes, I stumbled across SBI. I followed a link to their page to learn more and BOY was I impressed. I thought “ Ok it looks easy, I’ll give it a try.” I can tell you one thing, I know nothing about building a website or any HTML codes or any other computer jargon. SiteSell offers the building blocks with SBI that makes it very simple. All you do is fill in the blocks: (headline, text, graphics, etc) hit the tab that says preview and if you like what you see, you hit the tab that says analyze it, and the brains of SiteSell tell you what needs to be fixed. Click on the Build it button and you have built your first webpage. 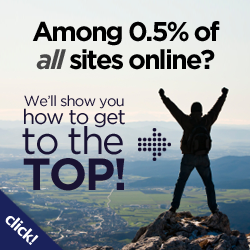 NOW SITE SELL HAS MADE BUILDING A WEBSITE EVEN EASIER! THE NEW BB2 HAS MADE BUILDING EACH PAGE A SNAP. EVEN CHILDREN ARE DOING IT! You can see for yourself how easy Ken Envoy and SiteSell has made Site Build It. Many large corporations pay tens of thousands of dollars to build a website, but still Site Build It customers get higher page rankings on the search engines by following the C P T M concept that SiteSell teaches you. After you purchase Site Build It, you will follow a 10 day plan in building your website. Each day you can see your progress by watching fun and informative videos. It is truly simple. I work two full time jobs and still found time to build this website with over 100 pages and growing. SiteSell never lets you down. The SiteSell family is there for you every step of the way. I can’t believe some of the great professional websites that some of these people have built. My site is still in need of a lot of work to look more professional, and as time allows I will slowly make it look better. You should follow the link to SiteSell and check out some of the other websites that people from around the world have built successfully. The best way to build your website is to choose something you are passionate about or something you know a lot about: ( a skill, subject, place, your job, raising children, pets, etc). Site Build It will help you narrow down your subject to find your perfect niche with “niche choose it”. You will find tools and constant help along the way. I am still impressed with the help that Site Build It offers. Site Build It has allowed thousands of people to give up their jobs and work from home. At the SiteSell forums you can read about how a 13 year old is making over $2,000.00 per month. Learn how a brother and sister make over $50,000.00 per year. SiteSell will guide you each step of the way and even help you to monetize your website with their tutorials. You will learn how to write your pages so the search engines rate you high, which means more traffic. More traffic = More Money. SiteSell is not a get rich quick scheme. It is a lot of work, but since you are writing about something you really love, it is a lot of fun. The Site Build It action guide teaches you how to choose the best keywords for your site. How the search engines find the keywords, how to use these words to optimize your position in the search engine rankings. When you choose and register your domain name, SiteSell is there for you. You don’t know anything about HTML. No problem, SiteSell is there for you. All the tools are there for you. You can even start a newsletter that SiteSell will automatically send out for you. SBI is web hosting that works. It is the only all-in-one site-brainstorming-building-hosting-marketing-step-by-step system of tools that delivers a thriving, profitable business that will last a lifetime. A recent Alexa Traffic Rank was performed and of the 56 million websites on the web, 35% of SBI sites ranked in the top 1% of all sites. While 99 percent of all websites fail, SBI succeeds. SBI is a proven system! SBI makes sure that you succeed. They help you succeed by providing the building blocks (C T P M ), and all the tools necessary to execute the process. Site build it website owners are patient, positive, highly motivated, and forward looking people who know that building their site is not a quick get rich easy scheme, but a real business that will provide real income for the rest of their lives. SBI owners help each other through the best resource forums in the world. J 70 forums cover every conceivable business building subject. Successful SBI members come from all over the world and have websites in many languages. 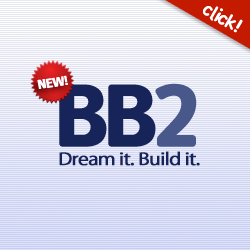 Watch the New BB2 Site Build It video below. Don’t fall for the quick, easy, fast and cheap hosting offers. I fell for this a few times and ended up with a single webpage which nobody could find. I had 0 traffic and I paid more for one web page that nobody can find, than I paid for this website which can be found on most of the search engines. SBI guarantees that if you follow each step in the 10 day to do guide, you will SUCCEED in building a lifelong profitable business. If you are like me and care about success, SBI is the best way to go!